Good product. Good price. Fantastic delivery. First class battery. First class service. Ordered one day, delivered the next. What more can you ask. Highly recommended and will definitely use again if I need another one. Verry good and verry good communication also.. would recommend ????? Speedy delivery and so far the battery’s working perfectly. Great power at a great price. 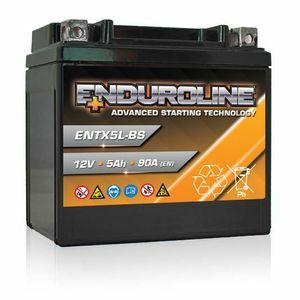 Good battery, purchased for quad bike. Had to phone initially about query on amperage and was given very good advice. Would buy again if necessary. Great service, good quality product. Thanks again. Fitted To: Honda lawn mower. 2x ordered and only one arrived. Tanya were great responding to the error, and second arrived quickly and without fuss or delay. Gives me confidence to order more. Exactly as ordered. The battery arrived on time and was fully charged as promised. Swift delivery great product fantastic price!!!! Much much better than a cheaper battery the extra cca really does help start the bike in colder weather too. Certainly worth the money and reliable. Good battery, good value, prompt delivery from stock. What's not to like!